Another simple and delicious recipe from the Passanante’s Home Food Service kitchen to yours! Mix ¼ cup oil, garlic, and lemon zest in a medium bowl; season with salt and pepper. Let marinate for 20 minutes. Add all herbs to oil mixture; stir until well coated. Let stand for 10 minutes. Stir in remaining ¼ cup oil. Season herb salsa verde to taste with salt and pepper. Season skirt steak generously with salt and pepper and grill over high heat until charred, 2 minutes per side for medium-rare. Transfer steak to a serving platter and let rest for 5 minutes. Slice steak against the grain and spoon half of the herb salsa verde over. Serve with lemon wedges and remaining salsa verde. 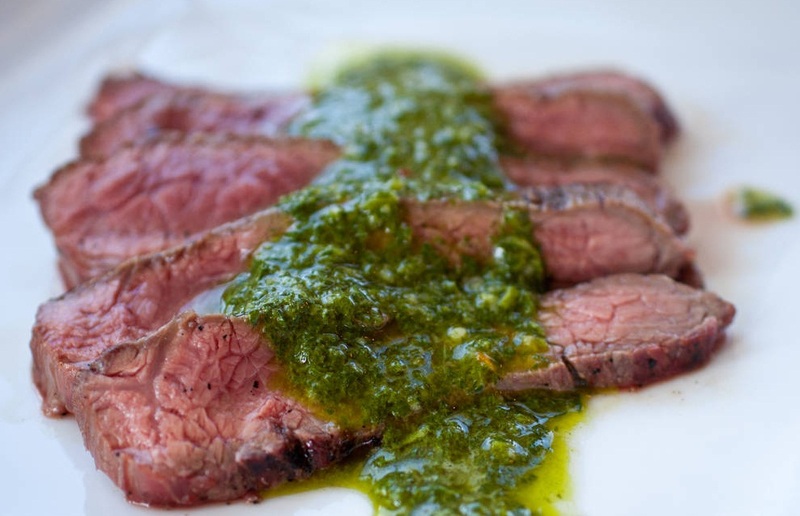 This entry was posted in Beef, Recipes and tagged Food Delivery Service, Passanante's Home Food Service, Recipe, Salsa Verde, Skirt Steak by Passanante's Home Food Service. Bookmark the permalink.